I want to kitesurf I want to kitesurf! I want to kitesurf! But how? Where do I start? Hold your horses for 5min (seriously it will be that short) and let us give you a top 10 tips you need to know before starting kitesurfing. Learning with a qualified instructor will save you a lot! I know what you thinking: Those expensive kitesurfing lessons can make me save!? How? Well, very simple. By taking lessons with the people who know the trade you are taking a shortcut to your end goal: being able to kitesurf. And by taking a shortcut you are saving a lot, I mean A LOT of time. And the time is money! The money you spend wasting holiday by holiday trying to practice on your own but in fact just repeating the same mistakes without guidance. Money spent on the equipment that is totally not suitable for you or the spot you are at. Money spent on the same equipment or the next one when you trashed it on a bad flying attempt. Money spent on the hospital bills when you break your leg landing on the sand. 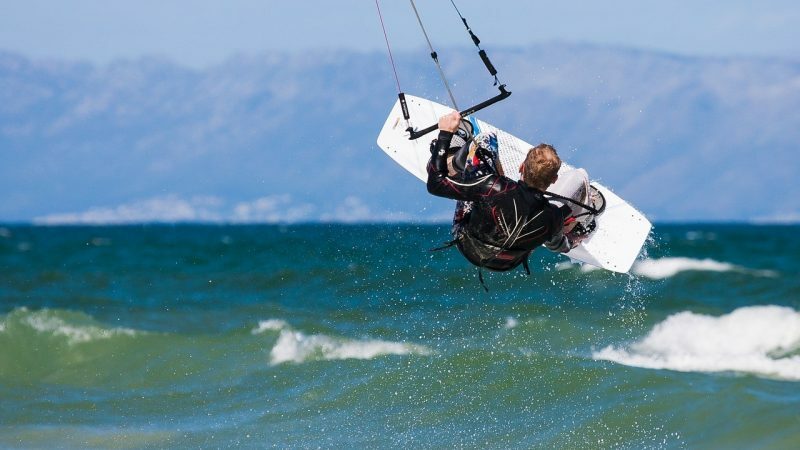 Money spent on more kitesurfing lessons you need to take after all that to get rid of all the bad habits and trauma you acquired during your self-training. Learning to kitesurf doesn’t happen by riding on the water. You may say: What? Wait? Kitesurfing IS riding on the rather with the kite in the air and a kiteboard on the feet, so how else can I learn? That is right, but the process of learning starts before coming in the water, sometimes even before entering the beach or pumping the kite. Your first couple of hours will include a mixture of theory and practice with the kite either on the beach or learning while standing in the shallow water. The riding part comes after. Pay close attention to those moments as this is probably the most important element that will determine your effectiveness and safety in the later stages. It is not enough to just WANT to kitesurf, there are more factors to consider. If you decided to learn to kitesurf it is great, but before you run to the beach or pack the suitcase do some research. Kitesurfing is not like football, you can’t play it anywhere and you will need certain conditions to make your dream come true. One of the most obvious aspects is wind. 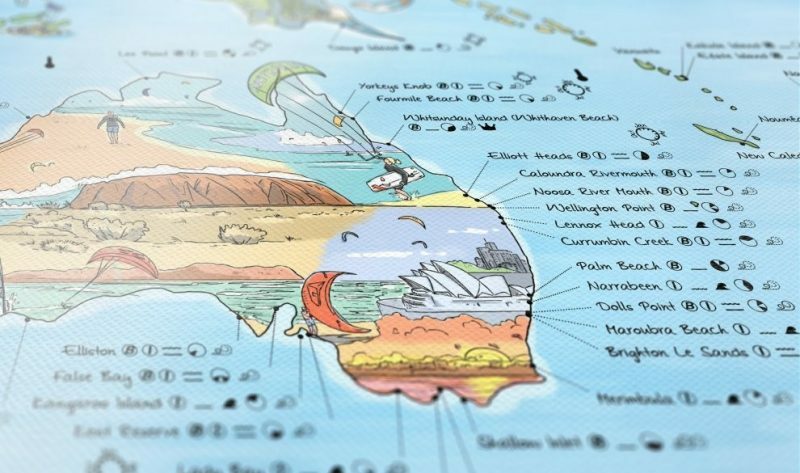 Checking which kite spots are the best for learning is a good start, but also remember that many of those spots are seasonal, so take it into consideration when booking your flight ticket. But really wanting IS the most important factor! Want is CAN! If your attempt to learn to kitesurf comes from the bottom of your heart and is fueled by your will to achieve, you inevitably WILL make it happen! If on the other hand you don’t feel it is your thing and you are being pushed by somebody else then it won’t be as easy. Encouragement from others is good, and if somebody wants to share their passion with you it is worth to give it a go, but don’t force yourself. Find the joy in what you doing and if it is not kitesurfing itself visualized maybe it will be taking pictures of your friends at the beach. The more relaxed you are the better you will perform. Some level of stress is healthy and motivating, but too much of it will never work in your favor especially when learning to kitesurf. Trust your instructor and relax! Relax your muscles because to steer the kite properly you need to feel it and when you tense your muscles you block the blood flow in your hands and won’t be able to feel and respond correctly. Breathing exercises are a good way to shift your focus. Learning the theory is very important and will help you a lot, but the true secret of progress in kitesurfing is the development of the muscle memory. If you are a manual car driver you will understand it by remembering how difficult it was to get the right timing and coordination to shift the gears and press clutch at the same time without stalling the car. Few months after you change gears without thinking. It happens automatically because it became your muscle memory. To achieve that all you need to do is practice and visualise. After the lessons when you know the theory and the basics, get your own gear to be able to spend as much time as possible in the water and watch the progress. After each session visualize what you did before going to bed. This will marinate your new skills deep in the muscles. Space out your training in a smart way. 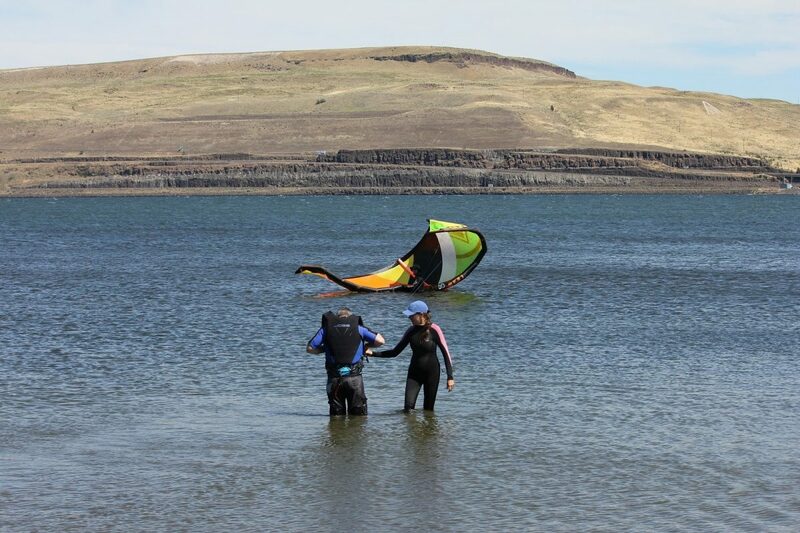 You may be so keen to learn to kitesurf you will be keen to book a 7h training straight on your first day. Wait! Don’t! Learning kitesurfing requires body and mind concentration and therefore can be tiring. If you are too tired you will not just stop the progress but in fact, will regress due to the lack of concentration and fatigue. A better solution is to space out your training and allowing yourself 3-4h a day training. The 3h block is a good choice if you don’t want to take a break. Take the 4h with a break after 2h. Spacing the learning allows your body to recover. A process necessary for building the muscle memory, therefore: progression! We know you want a nice suntan, but believe me no one looks cool with a lobster red blisters on the top of their feet and nose on the second day of the kitesurfing training. Get a thick waterproof sunscreen and don’t be shy to use it. Zinc based products are great! Wearing only the bikini or speedos for your lesson? The short answer is: you can. The longer answer is: you can, but don’t be surprised if it falls off during the lesson. 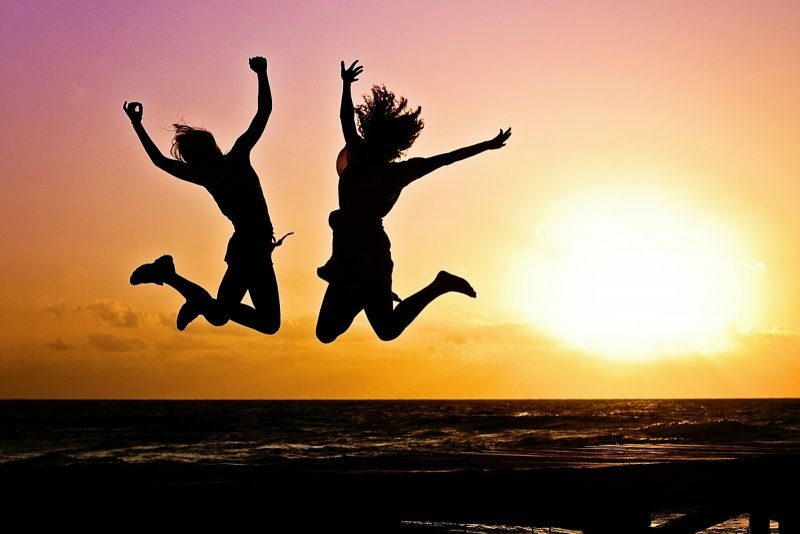 It is great that your boyfriend, mother or friends want to come over to support you. Take them to the beach and ask for some pictures, but don’t bring them into a lesson. You are paying for the instructor time and it is important that you can focus. Also, you don’t want to feel under pressure when being constantly watched or feel judged by the friends who already know how to kite. Use this time to really get most out of your instructor’s and your time on the beach and tell your loved ones all about it AFTER the lesson.